A BRITISH Asian gang of fraudsters may have been involved in misusing billions of pounds of British tax-payers money to fund terrorist networks in Pakistan and Afghanistan, claims a UK media investigation based on police and Intelligence files. 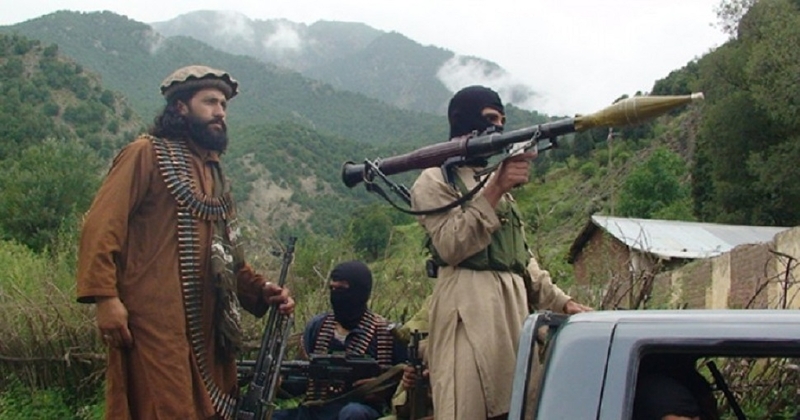 The gang, based in London, Buckinghamshire, Birmingham, north-west England and Scotland, is alleged to have sent 1 per cent of its gains from their elaborate tax fraud to Al-Qaeda in Pakistan and Afghanistan, where it funded madarasas, training camps and other terrorist activities, according to the leaked files seen by ‘The Sunday Times’. An estimated 80 million pounds is believed to have been funnelled out by the fraudsters as part of an elaborate VAT and benefits fraud against the UK’s revenue department over the past two decades, with further gains made through mortgage and credit card fraud targeting banks and individuals. “Secret Intelligence held by MI5 States that some of the money reached the Pakistani compound that housed the Al-Qaeda mastermind Osama bin Laden before US forces stormed it in 2011,” the newspaper reports as part of a two-year investigation. The gang, made up of British men of Asian-origin who cannot be named due to court orders, reportedly infiltrated multiple UK Government agencies and even corrupted local politicians. Mid-ranking gang members have been sentenced to more than 100 years in prison for fraud and money laundering in a series of linked trials. Their crimes have reportedly cost the UK taxpayer an estimated 100 million pounds. Reporting restrictions imposed at the start of the first trial prevent the identification of any of the gang because several kingpins fled the UK before they could be arrested and are now thought to be based in the Middle East. The UK’s Crown Prosecution Service (CPS) insists that details cannot be reported until the masterminds have been returned to the UK to face trial. According to evidence pieced together so far, the gang was using a network of factories and companies and exploiting their workers for identity and benefit frauds, the sale of counterfeit goods, car crash scams and mortgage and credit card frauds. Her Majesty’s Revenue and Customs (HMRC) inquiries found the gang used “hijacked or altered National Insurance numbers to create false records” and exploited “illegal immigrant labour” before laundering the cash “through bogus offshore companies”. “Those involved in the investigation say the gang was extremely difficult to penetrate. Undercover agents eventually resorted to attaching a camera to a dog and encouraging it to run around inside one of the network’s factories to find out how many people worked there,” the newspaper reports. “A large proportion of these frauds originated from just a few families (covering several generations) perpetrating serious, organised and sustained attacks against any agency with apparently weak systems,” the report said, adding that the money was sent mainly to Pakistan but also Hong Kong and Dubai and “is most likely to be linked to terrorism”. The files reportedly also show that the gang enjoyed links with a top politician in Pakistan.